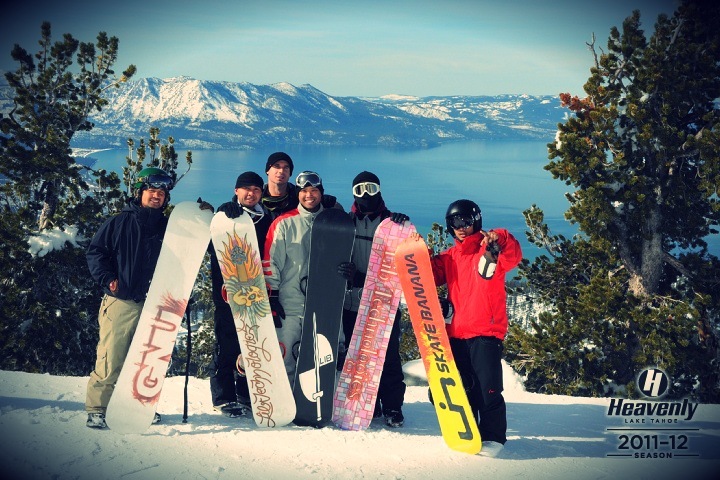 Eight friends and I journeyed up to South Lake Tahoe, last weekend, and we were welcomed with a gorgeous white blanket that covered the California and Nevada mountain range. 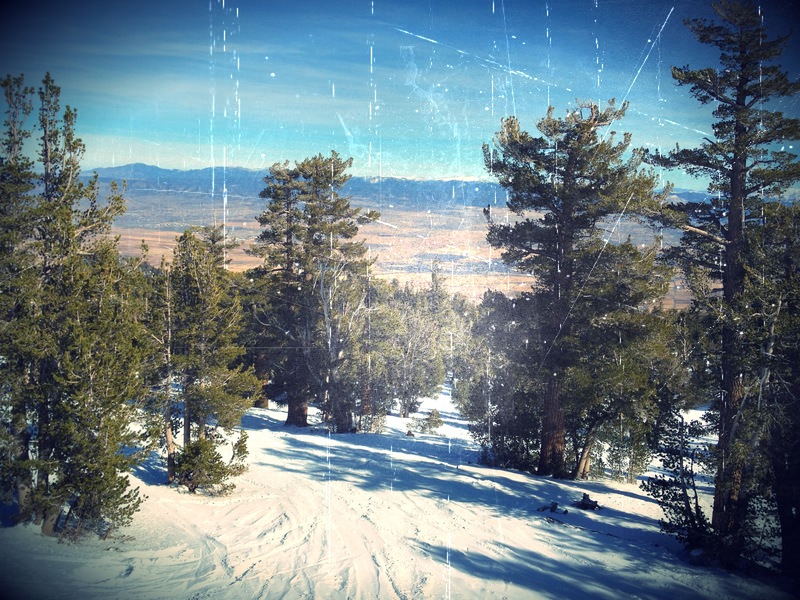 And, even though most of the snow dumped on the Heavenly ski resort the weekend prior, we were still blessed with great snowboarding conditions that did justice to the resort’s name. Yes, our weekend was heavenly. We stopped, during one of our runs to take a picture and capture the celebratory weekend (we were there to celebrate my best friend’s upcoming commitment to marriage-hood), and I couldn’t help but pause to soak in the breath-taking alpine. After the picture was snapped, and as we began our way down the mountain, I also couldn’t help but think about the artistic genius that is God. As a writer, I’m always searching for inspiration to keep the wheels of my creative cog going. There are seasons where I pump out material left and right, but there are also seasons where nothing seems to flow. It always amazes me to think that all God had, in the beginning, was His words. He spoke and life came to be. He whispered and the stars materialized. He shouted and the oceans were filled. He looked at the empty mass and told the Tahoe mountain range to peak. God, the ultimate artist, recited a sonnet, breathed into the earth and we came to life. It’s in this context—in a committed relationship with our Creator—that we, too, can become artists who bring life to those who, perhaps, are staring up at a heart crushing summit. As we embrace God’s creative caress on our lives, we can more easily extend our hands to those searching for life’s cascading beauty. When we realize that God unconditionally loves us, we can begin to love others more deeply. How about you? How are you showing God’s love to others or how have you experienced God’s love in a remarkable way? I’m saturating my heart with the words in 1 John 4 about God’s love. Because frankly, my heart is incapable of being filled with love 100%. It amazes me that I love God so much, yet, because of my life circumstances I feel hatred. Toward everyone, everything, even the people whom I love. I’ve seen your Tahoe pics and longed to commune with God’s masterpiece myself. But if I can’t love where i am now then what difference will it make if I am surrounded by nature’s beauty? I won’t always be surrounded by beauty. And maybe that’s it. Maybe I don’t truly believe that God loves me unconditionally. It’s definitely hard to understand that God loves us unconditionally, especially in the midst of our junk, isn’t it? There’s a lot of mystery to God and, quite frankly, we’re not going to fully understand it, even when we’re spending the rest of eternity with Him. It may sound like a cop out, but He’s God and we’re not. We simply can’t fathom everything there is to know about Him. In issues of love, however, I’m always humbled by the story of Jonah. In a nutshell, it’s a story of how compassionate God is and how un-compassionate we can be. Jonah, a great man of God—a prophet, did everything he could to not show compassion to a nation that, by human standards, didn’t deserve to be loved. Nineveh was an evil city that thrived off of murder, whoring around and human worship, yet, God still wanted to show compassion to them. I’m reminded that, even though I may not feel the love of God all the time, He is the ultimate lover of humanity and is doing everything He can (without crossing the lines of human will) to show us that He does love us. It’s humbling, yet hard to fully understand.